Our men’s group exists first and foremost as a community. We are a group of men who are processing through life together. Within this context we lean on one another for discipleship and support, and we participate in Bible studies and service in order to learn how to hear God’s voice. We place a high priority not just on Biblical literacy, but on genuine male friendship and camaraderie. 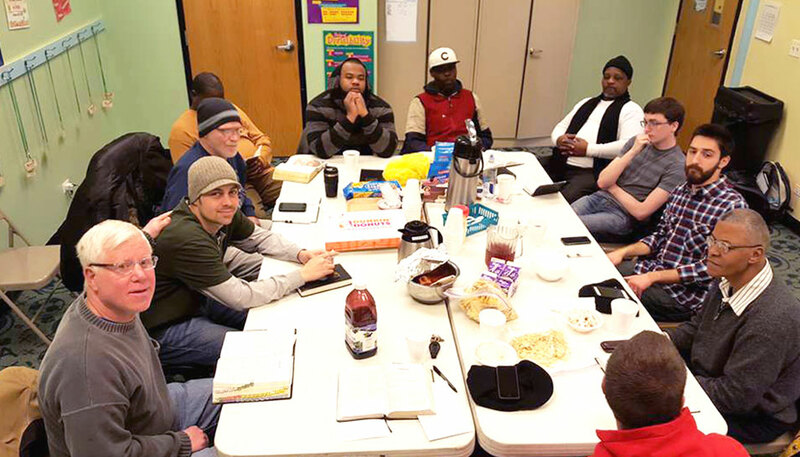 Our men’s group is composed of fathers, sons, coworkers, leaders, husbands and single men. We band together around the common thread of wanting to see Jesus more clearly. Our study is always based around Biblical narrative and we work hard to discover the links between Biblical text and the Jesus we pray to through the week. We are involved in a Rogers Park & Edgewater men’s breakfast every second Saturday of the month. Discipleship triads and one on one connections are formed year round by appointment with Pastor Tony Silker. Game nights and service projects are semi-regular and announced with a few days advance notice.